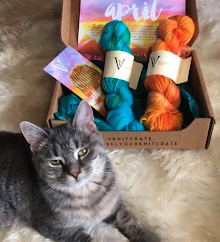 Ode to Classic Elite Yarns and How I Ended Up On Their Covers! 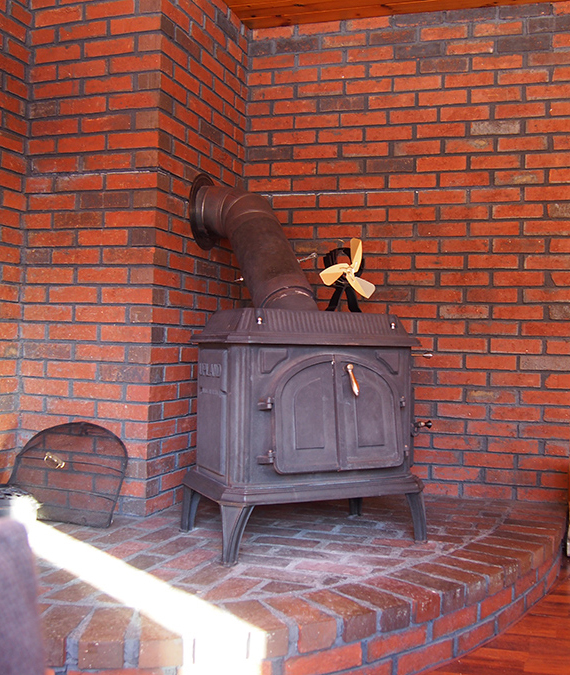 You may have heard the sad news this week -- Classic Elite Yarns is closing shop. They've been making yarn in some form or another since the 1940's according to their website, wow! 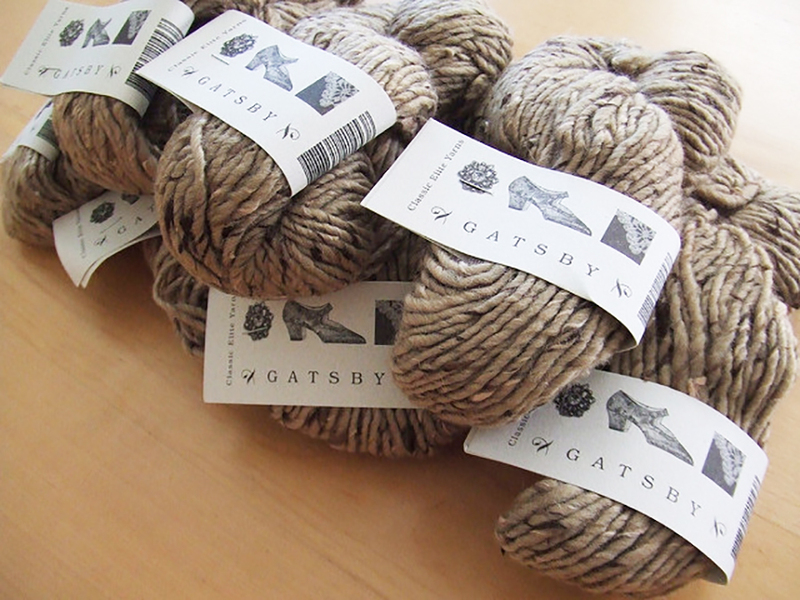 Though I've come across their yarns countless times throughout my knitterly life, I have to admit I've only used one CEY yarn, Gatsby. It was a crazy, bulky, and unique tweed that made a great fabric. Remember when Loop-d-Loop came out, by Teva Durham? 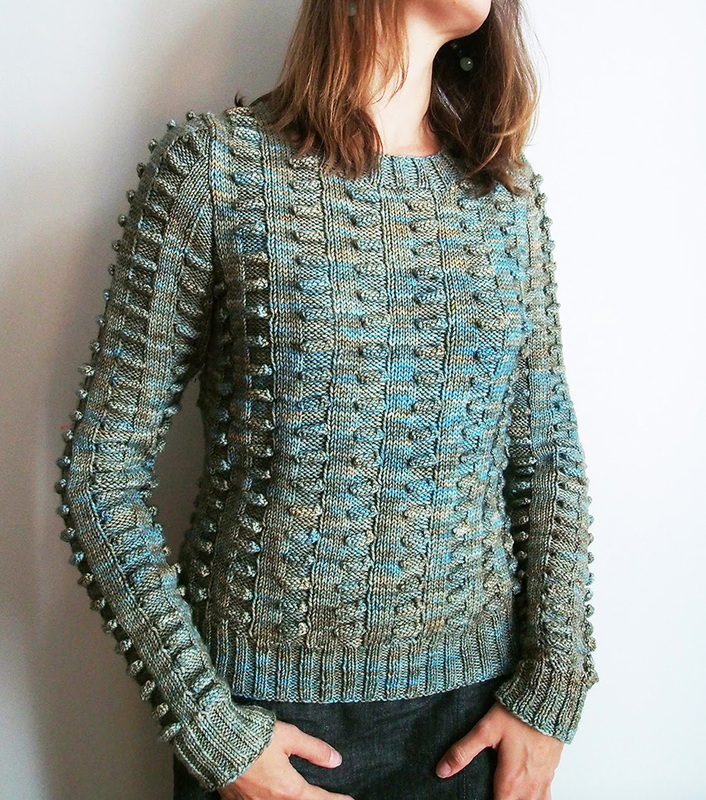 This is her Diagonal Twist Princess Seam Jacket, which I made back in 2006. Just took this picture today, it still looks great. Let's put knitting aside though, because I have a different, much odder relationship with CEY than yarn. The bulk of my knitting life so far was in Montréal, and when I arrived, I joined a local group that met at Starbucks every week called "Montreal Knits". 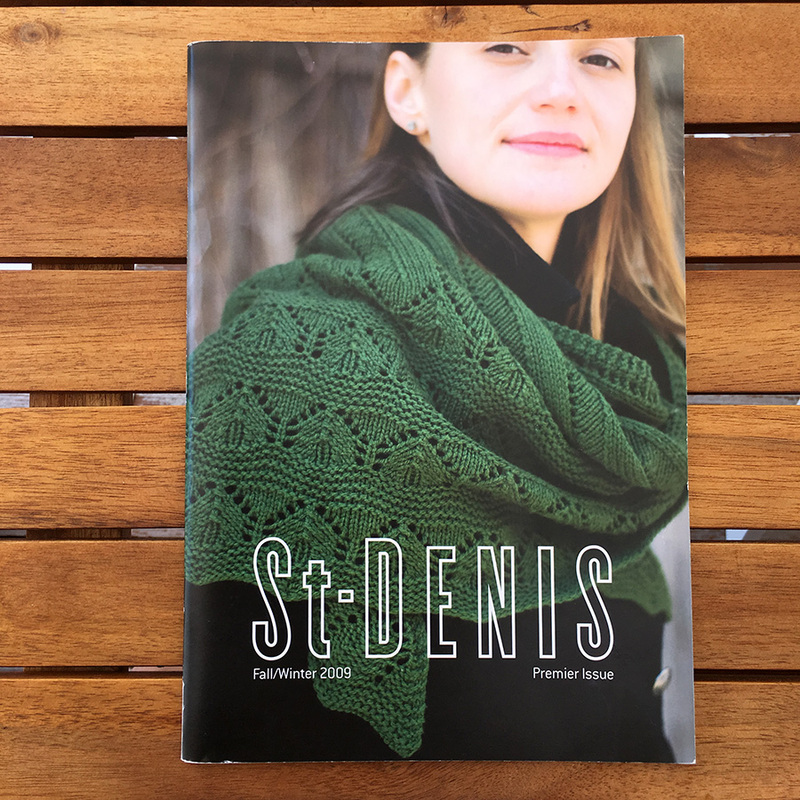 Back in 2009, Veronik branched out into her own brand called St-Denis Yarns, and she needed some models for her pattern books. That's how I landed my first ever knitting mag cover! I was touched she asked, because I had never done any sort of modeling before. Excellent patterns in this book, see here. 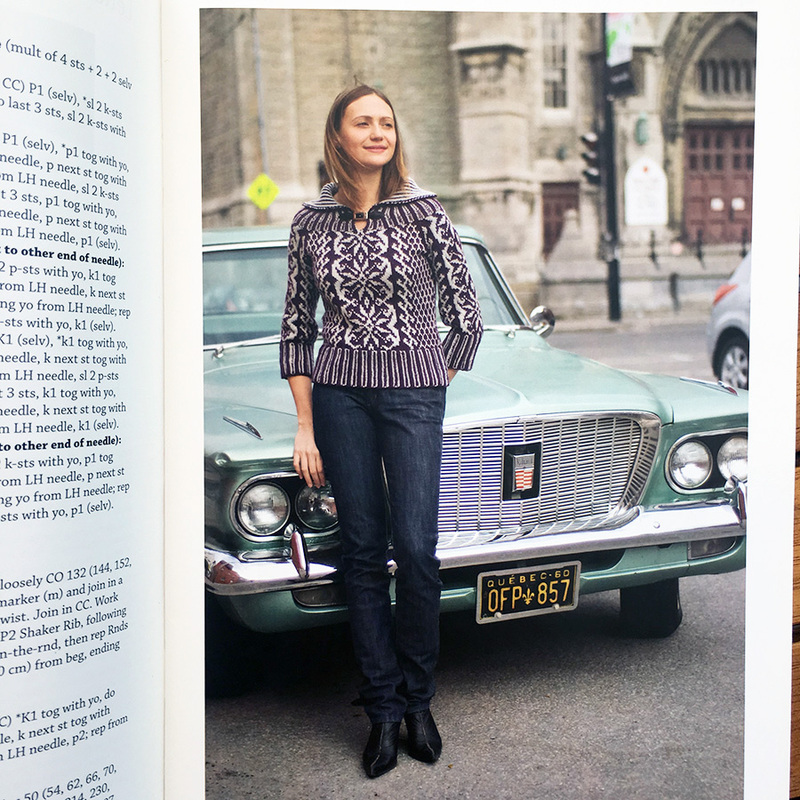 Veronik is an avid photographer, and I always enjoyed our shoots traipsing through the streets of Montréal. We found this vintage car (and license plate!) near where I lived and she said, "Quick, get in front of it before the owner comes back!" Now an established model (LOL, a joke a joke! ), this is how I came to model for CEY. If you don't know, Classic Elite put out a periodic "Web-Letter" that always included a free pattern. You can access them ALL right here, and I suggest you look through them sooner rather than later because their website might not be around in the future. 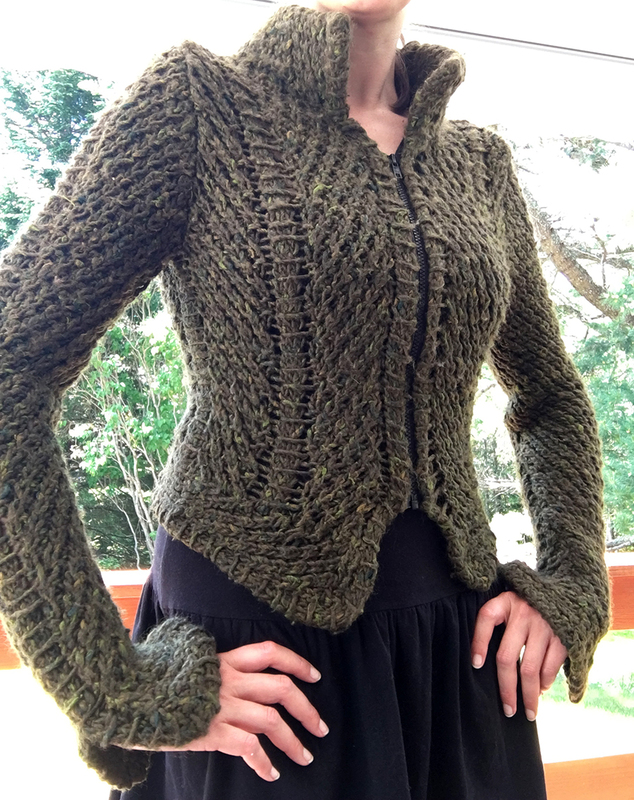 Veronik designed a cardigan for them and needed to take some photos. Here we are (actually on St-Denis Boulevard this time) in Web-Letter #55. This is a free pattern! Anyway, back to Portland, Maine. I unexpectedly live in Maine now, but let me tell you, in 2010 Maine was nowhere on my radar. I had only been there once when I was little, with my best friend's family, running up and down motel stairs and screaming 15 hours a day in Old Orchard Beach. (Very similar to the movie The Florida Project, I'm serious). I was just in Portland the other day, and I laughed when I realized that I was staying across the street from the very building where I first entered a true fashion set. There was a wardrobe bar with knits steamed and hanging, and another with borrowed boutique clothing for the styling. A makeup person! Photography backdrops and lighting! The whole shebang! I suddenly felt very amateur. We actually did much of the shoot on location at local beaches and parks. 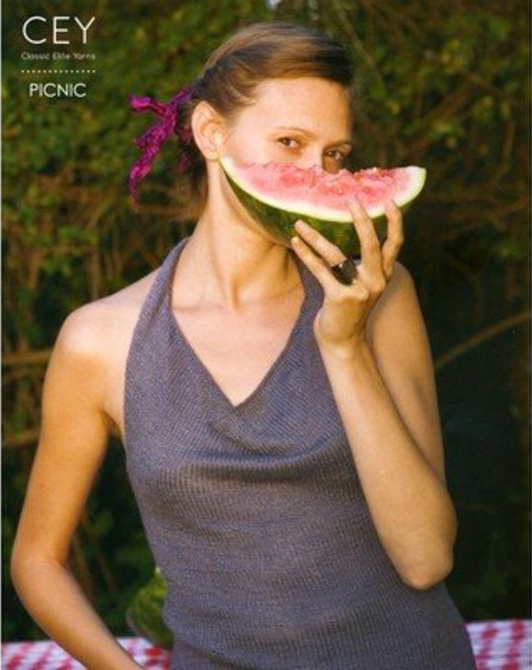 That's where the watermelon came in, for my cover on "Classic Elite #9109, Picnic". I just found this outtake from the CEY website, I adore it... wish it wasn't so fuzzy. 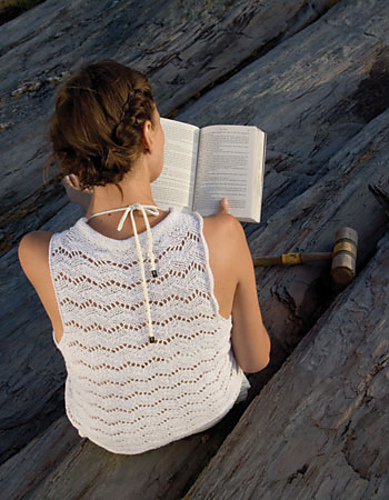 Firefly Cowl Halter from "Classic Elite #9109, Picnic"
This is where you learn something about yourself. I've watched tons of America's Next Top Model, and they're not kidding when they say that how you look in person can never predict how you come out on camera. It's a real SKILL, and I won't let anyone convince me otherwise. Models who are successful know where to bring out the energy, creativity and angles. The above photo is the only one where that really came out! I found myself not knowing what to do with my hands, struggling with where to move or look next. Super tough. Summer Sox Back Button Tank from "Classic Elite #9110, Beach"
Sprout Feather and Fan Tee from "Classic Elite #9110, Beach"
Provence Beach Coverup from "Classic Elite #9110 Beach"
Pebbles ZigZag Sleeveless from "Classic Elite #9110, Beach"
Soft Linen Sideways Lace Vest from "Classic Elite #9111, Farmer's Market"
Drop Stitch Tank from "Classic Elite #9112, Gallery"
Summer Set Faux-Crochet Skirted Vest from "Classic Elite #9112, Gallery"
So funny, that one really makes me laugh. Anyway, there was the one head on photo that I liked, and I even loved the pattern. I have since used this angle frequently in my own photography. Pebbles Zigzag with Sleeves from "Classic Elite #9110, Beach"
Unlike the St-Denis mags, I never received any of these booklets. That's why I'm scouring the web for grainy photos! You see, I was the only knitter of the group other than the designers Pam Allen and Cecily Glowik-MacDonald (who is a wonderful soul, by the way!). 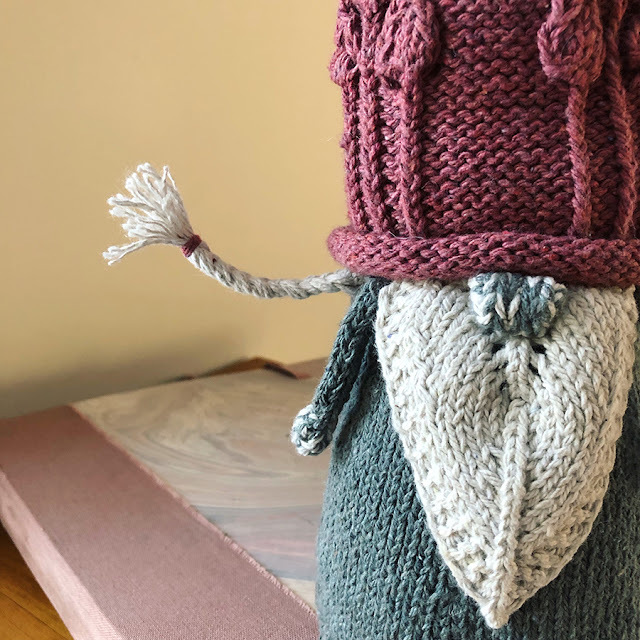 It was absolutely unusual for them to have a model that knitted, and that's when I realized that big yarn brands use models from agencies, not friends or family. It's a business like any other! And that, my friends, was the end of my short modeling career. 😊 It was a unique and fantastic experience, despite the dragging hours on the set. Daaaaaamn, makeup, set up, shooting... it takes forever. I did learn how to take better photos of myself in my knits and crucially, I learned about my asymmetries and how to hold myself better in front of the camera. Eight years later, that's a lot of successful self photography! As for Classic Elite Yarns, it's certainly the end of an era. You can read more about why they are closing here. I wish them all much happiness in future endeavors. A very nice tribute and personal reflection of Elite Yarns. Sad to see them go. Me too... I need to dig through my stash and see what else I might have! I heard at my knitting group last week that Classic Elite Yarns was going out of business. Now, it is interesting to learn that you had modeled for them and also for Veronik Avery! I will have to go through my CEY books and individual patterns, as well as my Veronik Avery book(s) to check you out! Thanks for the tribute to CEY and for your modeling history--very interesting. you look soo lovely !! You are too nice Pragti, thank you!! I still have that St. Denis #1 mag with you on the cover. Since realizing it was you, I've wondered about the back story. Thanks for filling it in. I will miss CE. I've used many of their yarns over the years. And there was a time that I believe I purchased every basket of goodies that Kristen Nicholas and CE kitted up--eclectic socks, hats, teapot covers, mittens, toys, pillows. You name it, I loved it. Ha! My very good internet friend recently just wrote... OMG I PICKED UP MY ST-DENIS MAG AND REALIZED IT WAS YOU ALL ALONG!! You know, a lot of the ethic and style did move on to Quince and Co. Maybe that's your next CE? Wow! I never knew about your modelling career. They were lucky to find you on their doorstep. Hi Una, it was a funny turn of events. When I lived in Manhattan I used to do hair modeling for Aveda -- where students cut your hair and do your makeup and then photograph you for their portfolio. A couple of times I was asked for my info in case they wanted me for a real shoot, but it never happened. Knitting was the way I got my foot in the door, in the end, lol! Very interesting story. Thanks for sharing. 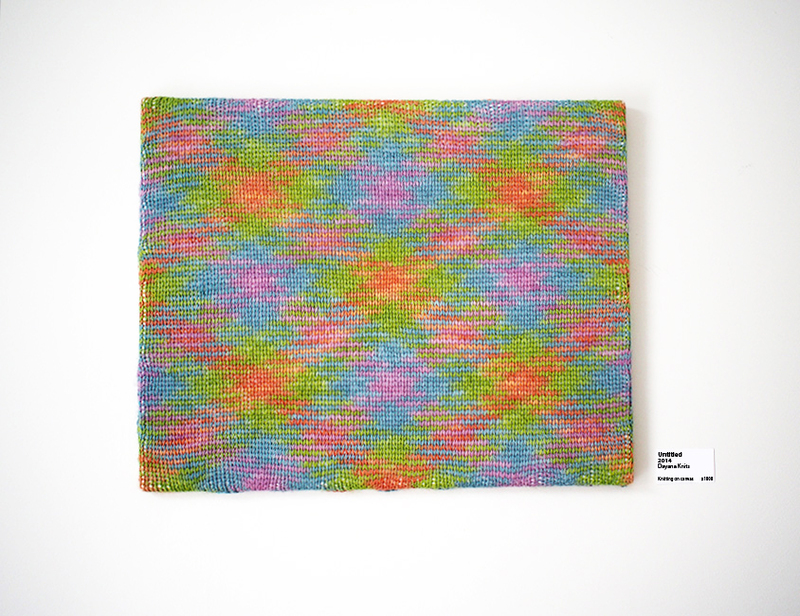 I'm a photographer too, and I think the photography for your knitting projects and on your blog is fantastic. Really makes the knits attractive. My knits on ravelry don't look so great because I don't have models and photographing them flat or on a hanger really doesn't do them justice. In this story you say you do your own photography...? How do you do that? With a remote shutter release? Hello! Yes, I do my own photography. I purchased a cheap 3 light set from Amazon and use a camera tripod. My iPhone or camera gets set on a timer taking 5 shots at a time. I wish I had a remote trigger, but there is none compatible! I throw away a lot of photos and Photoshop is essential. Thank you for the compliments on the photography, makes it worth it!